Pajama fun for everyone... Even your pets! Jammin' Jammies outfits your whole family in matching pajamas and onesies as an adorable way to capture the spirit of the season. Coordinated jammies for your photos are a fun way to be the most "liked" family on the block! 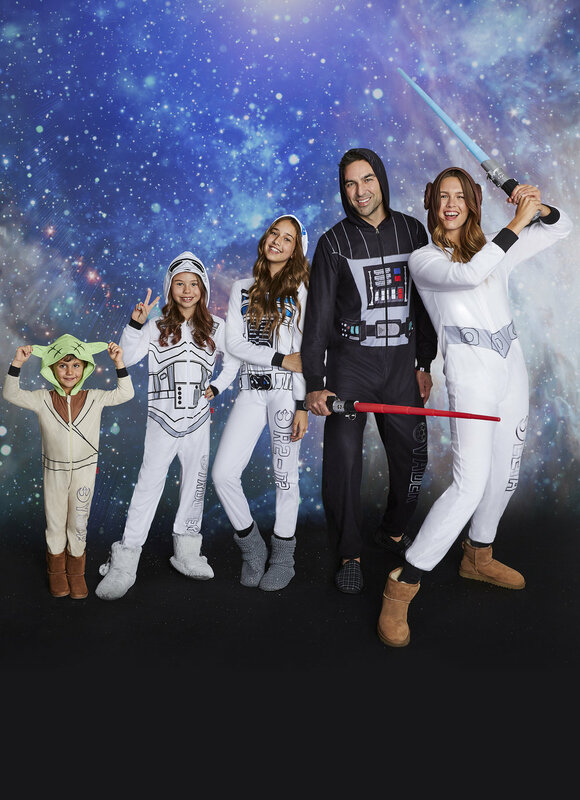 Our character onesies and collaborations like the matching Star Wars collection are the perfect choice to dress up with your family!